With so much attention as of late paid to movies in the thick of the awards race, it’s important to remember that a brand new Coen Brothers movie is on the horizon. It may be opening as early as February, but given its madcap premise, rich setting and star-studded ensemble, “Hail, Caesar!” might just be our most anticipated movie of next year. The comedy follows a studio fixer in Hollywood’s Golden Age. The star-packed cast includes George Clooney, Josh Brolin, Tilda Swinton, Scarlett Johansson, Channing Tatum and Jonah Hill. The film takes place over a single day, during which Brolin’s fixer must deal with Hollywood hiccups ranging from a pregnant leading lady and a movie star, played by Clooney, who gets kidnapped. “Hail, Caesar!” will be released in U.S. theaters on February 6 and then go on to open the Berlin International Film Festival on February 11. 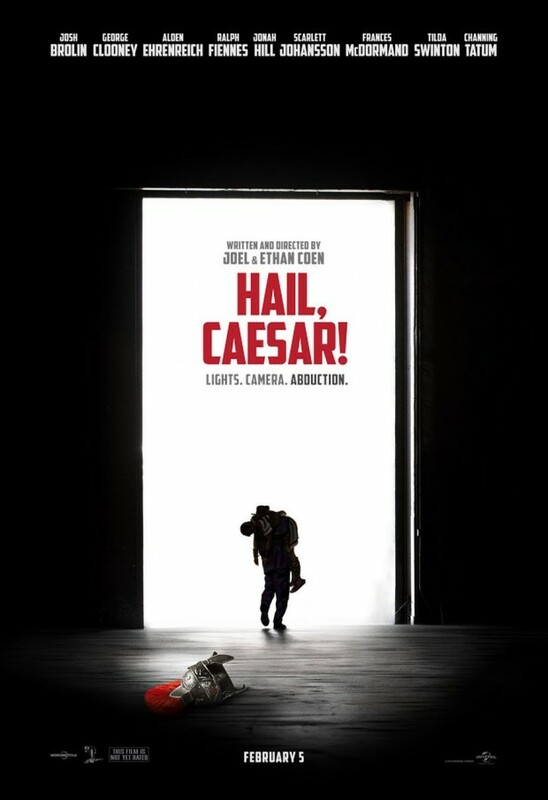 Check out the new poster below, which suggests that a usual dose of Coen Brothers dark humor is in store.